There is a lot of buzz in the health care arena about value-based care. We know that there a number of buttons to push on the electronic health record when filing a claim with our Medicare carrier. We also know that a few more steps are required to be able to attest to using our EHR in a meaningful way. Short of that, value-based health care is pretty much just a buzz word that seems like a good thing but is not related to optometry. This is a bit unfortunate for a profession that considers itself part of the primary care revolution. Value-based health care is really more of philosophy (Phillips Wellcentive) of care at this point in time, but it changes the way we care for our patients. Because it has also been shown to improve patient outcomes and lower cost, you can expect it to evolve into a payment mechanism. The intent is for value-based care to replace the traditional volume-based payment system. The value-based philosophy to learn and adopt today is more holistic and patient-centered. This means that your encounter with each patient should be considered as part of a continuum of all the health care encounters for each patient as well as the patient’s understanding of their health and what they need do between encounters related to their health care and wellness. This means that you need to increase your patient education, and your treatment plan needs to include daily activities, visits with other providers and goals for your next encounter. You will also need to communicate with the other providers involved and coordinate your treatment plans. A good example of this would be an encounter with a patient with diabetes that has mild diabetic cataracts and mild background retinopathy. You note that the HbA1c is too high and that BMI is also too high. The diabetes is affecting eyes and vision, but the treatment plan must be related to better management of the diabetes. A phone call to the doctor that is treating the diabetes as well as other involved health care providers with a discussion and agreement on the collaborative management plan would be the best option. If all of the treating providers for this patient review and execute this joint treatment plan, the outcome may improve. This is value-based health care. The use of phone calls to establish a management plan is laborious, but a great way to move toward this philosophy of care. All qualified EHR platforms have been designed to facilitate this collaboration, and the proper use of the Consolidated Clinical Document Architecture (C-CDA) with secure exchange with the other providers involved is the backbone of the practical application of value-based health care. 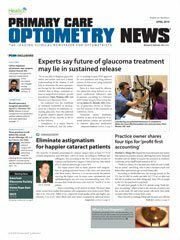 These programs, however, are still in development and as yet remain impractical for the practicing optometrist. So, for today, the best way to start down this road is to begin to adopt a value-based care approach. Look at each patient with a more holistically. Measure vital signs and bring them into your management plan. Communicate and work more closely with the physician community. Watch for opportunities to work with a health plan or Accountable Care Organization in your area to participate in value-based care. These may start with diabetic retina exams, as these are a required measure for many programs. Once the role of the optometrist is established for diabetes, other opportunities may expand from there. Value-based health care is more than a buzz word. The philosophy is sound, and we all need to find ways to move in this new direction. Phillips Wellcentive. What is value-based care? Accessed June 20, 2018.